The Obama administration has sparked outrage in the Native American community following the revelation it used the name of the legendary Apache leader Geronimo as a secret code word during the raid that killed Osama bin Laden. 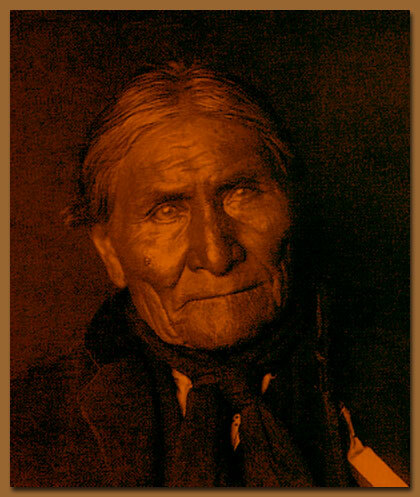 Geronimo was an Apache leader who fought to preserve tribal lands against U.S. and Mexican forces in the 19th century. We get reaction from Native American activist and writer, Winona LaDuke. "The reality is that the military is full of native nomenclature,” says LaDuke. "You’ve got Black Hawk helicopters, Apache Longbow helicopters. You’ve got Tomahawk missiles. The term used when you leave a military base in a foreign country is to go 'off the reservation, into Indian Country.' So what is that messaging that is passed on? It is basically the continuation of the wars against indigenous people."